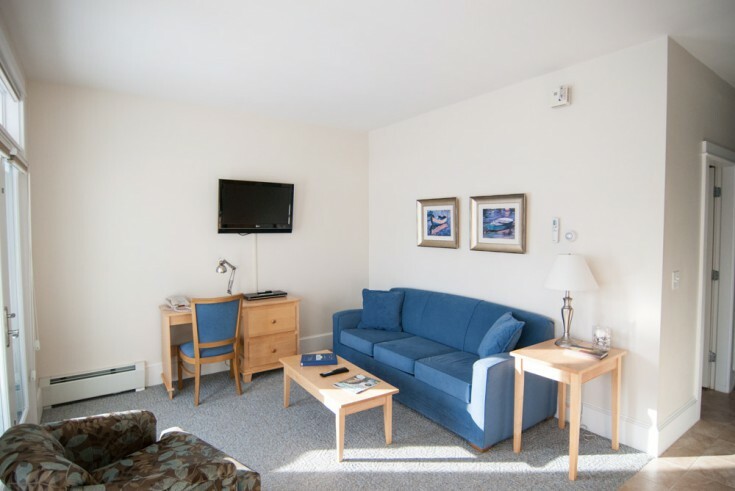 PREV	Beachmere West - Suite 223	NEXT! 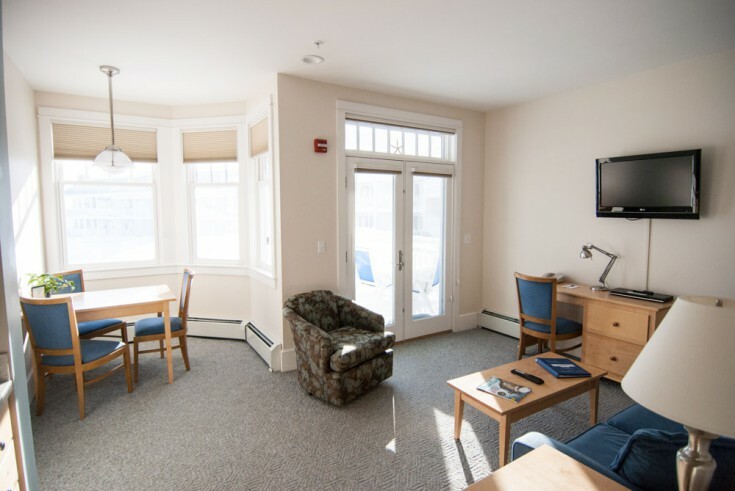 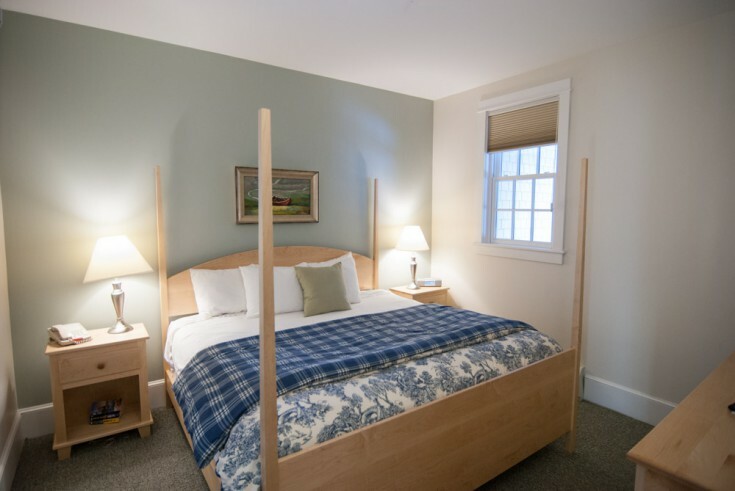 This suite offers two rooms located on the second floor in Beachmere West, our newest building. 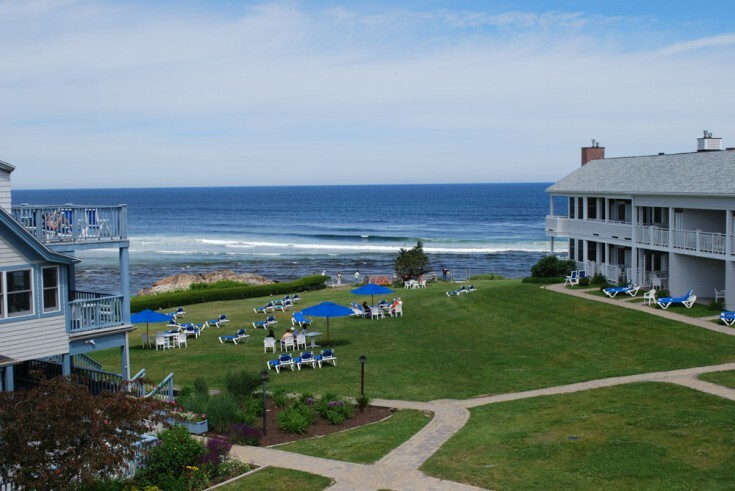 Large front windows offer open horizon ocean views from inside or enjoy the ocean sights and sounds from your private balcony. 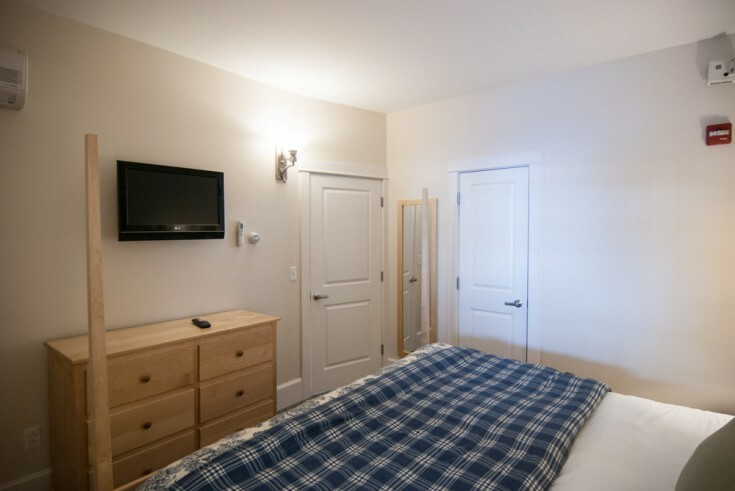 There is a king bed in its own bedroom with its own TV offering privacy from the spacious living room area with easy chairs, dining table, flat screen TV and a queen sofa bed for an additional guest. 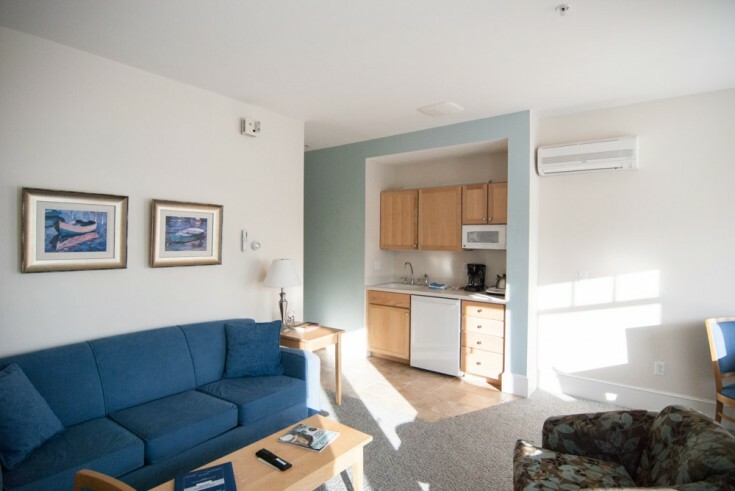 The kitchenette offers an under the counter refrigerator, microwave, dishware, and induction cook top will enhance your in room enjoyment or late night snack cravings. 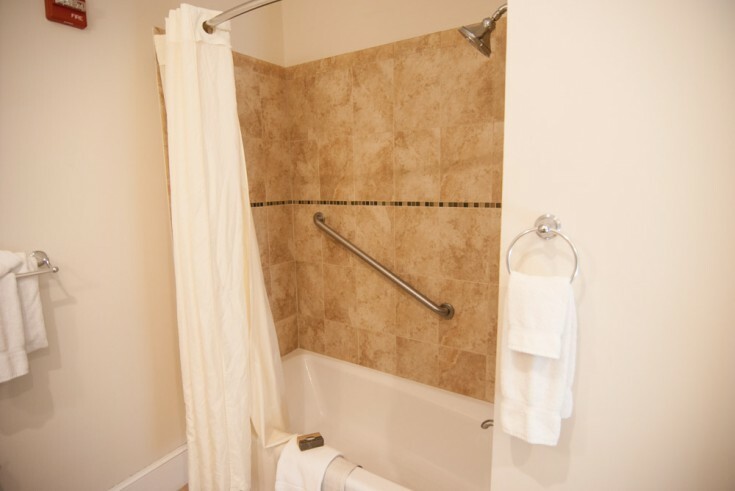 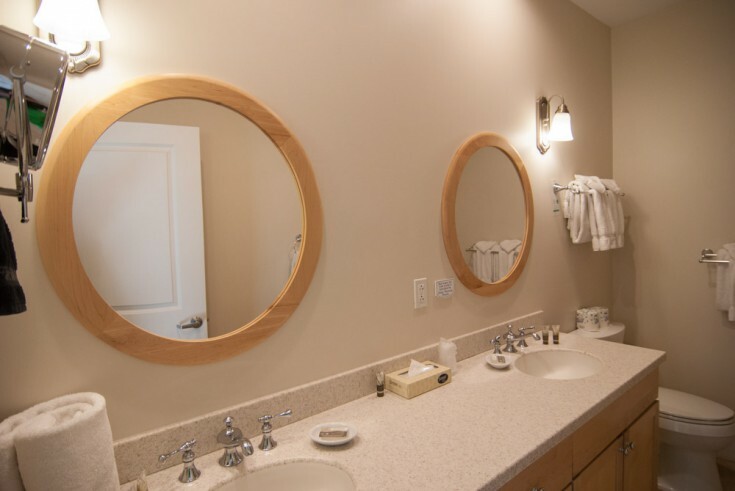 This suite has a large tiled bathroom with spa shower and tub, heated floors, and ample counter top space with two sinks.